One of the great things about counting macros is that sweet treats like candy aren’t out of the question. But, you have to have the macros or be willing to sacrifice some macros in order to partake in such a treat. For that reason, I was excited to learn about SmartSweets. They are truly reinventing candy in a much healthier way with their assortment of yummy gummies. 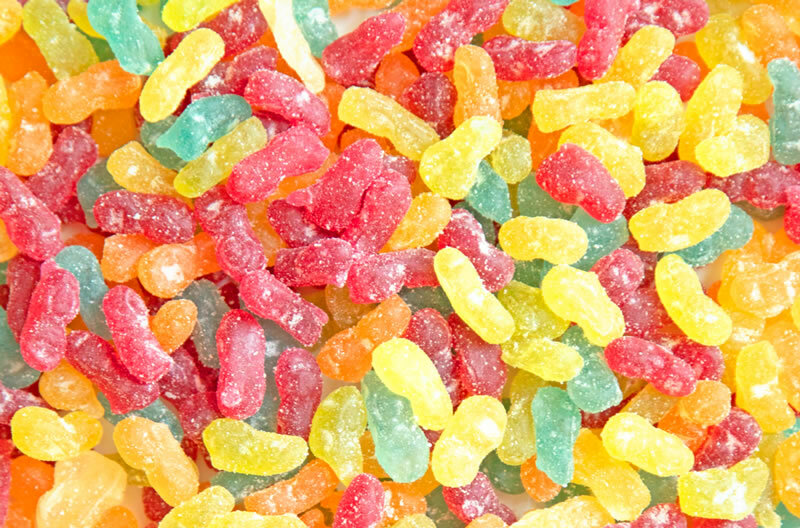 I for one, love gummy bears, gummy worms and gummy candy in general, but don’t often indulge because of the high sugar content, the artificial flavors, and the artificial colors that are found in the popular brands of gummies. 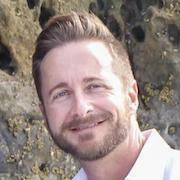 SmartSweets has solved all three issues by using natural zero calorie sweeteners, natural flavors, and natural colors. 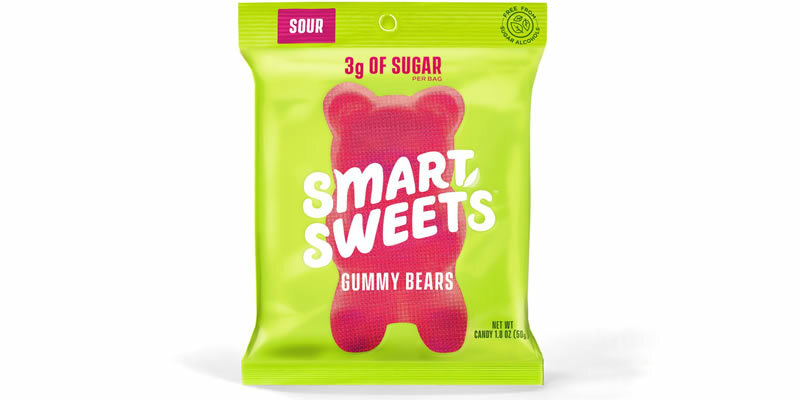 There is just a touch of real sugar in the fruit juices used which balances out the flavor profile and unlike most candy, SmartSweets delivers a huge dose of daily fiber. I’m always looking for great treats to recommend to my macros coaching clients and SmartSweets is a perfect way to satisfy the sweet tooth without all the calories and sugar. SmartSweets was kind enough to send me free samples of each variety for this article. There four varieties of gummies available from SmartSweets. Here’s how each type stacks up nutritionally and flavor-wise along with how the healthier version compares to the original version. 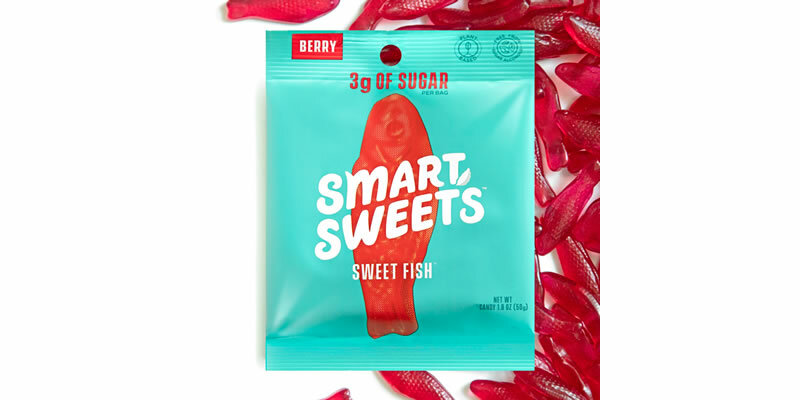 This is SmartSweets’ take on Sweedish Fish but their’s actually tastes better and has a better texture than traditional Sweedish Fish®. Of all four varieties, these are my favorite and I was glad I could eat the whole bag without guilt. 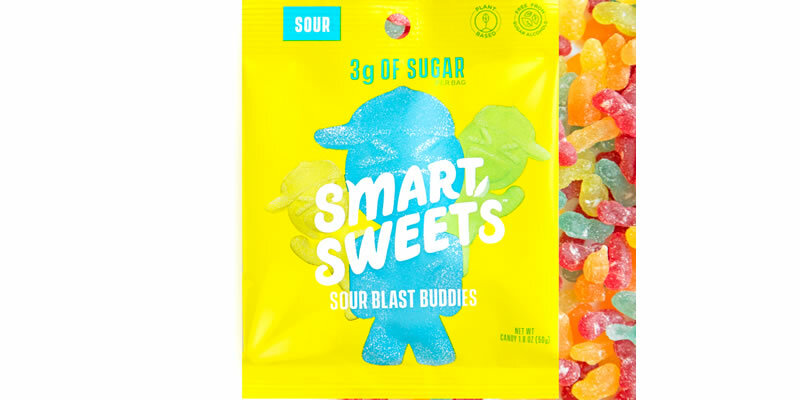 These are SmartSweets’ take on traditional gummy bears. Texture-wise these are like eating the real thing but flavor-wise, the fruit flavor is a bit dulled and the stevia aftertaste comes through a tad more with this variety. But, they are a much healthier alternative, so I’d gladly overlook those negatives to have the confidence that I’m putting something good into my body. This healthier version of Sour Patch Kids® is my 2nd favorite. I smuggled a bag into the movies and felt good about snacking on these during the movie and didn’t have to worry about “sugar overload”. They have a lot of fruit flavor and a nice initial blast of sour. These are just like SmartSweets’ gummy bears but with a coating of sour on the outside. Of the four varieties these are my least favorite, but still a good candy to snack on when I get a craving for something sweet. In addition to all the varieties being free from artificial flavors and artificial colors, the Sweet Fish and Sour Blast Buddies are completely plant-based so they’re perfect for those following a vegetarian or vegan diet while counting macros. 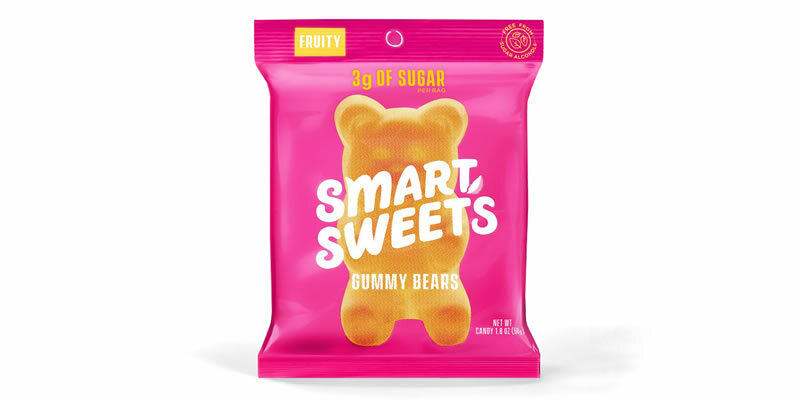 SmartSweets offers a great alternative to sugary sweets for both adults and for children. It’s great that companies like this are making delicious treats that satisfy a person’s sweet tooth but in a much healthier way and in a way that has the least impact on one’s carb macro. You can try SmartSweets for yourself by visiting their website here.